A Supreme Court bench headed by Justice Vikramajit Sen reportedly refused to hear a plea restraining N. Srinivasan from taking up the post of the chairman of ICC executive board, on an urgent basis. The Bench said that the case can be taken up after the vacation. The plea was put forward by Cricket Association of Bihar, in the wake of the ongoing probe against Srinivasan. The Bench described it as unfair that the matter was brought before it again after the same as declined by an earlier bench. Earlier, the apex court had dismissed a plea by the CAB, demanding restrain over N. Srinivasan from contesting elections for the post of ICC President, to be conducted on June 27. The counsel for the Cricket Association of Bihar asserted that Srinivasan had given an undertaking, stating he will not act as BCCI chief till the probe into IPL over was over, and hence Srinivasan should not represent the BCCI at the ICC. The Bench comprising of Justice C. Nagappan and Justice J.S. Khehar, however declined to hear the plea. Investigation against Srinivasan and 12 other persons including his son-in-law Gurunath Meiyappan is being undertaken, for allegations of betting and spot-fixing in the sixth edition of the IPL in 2013. 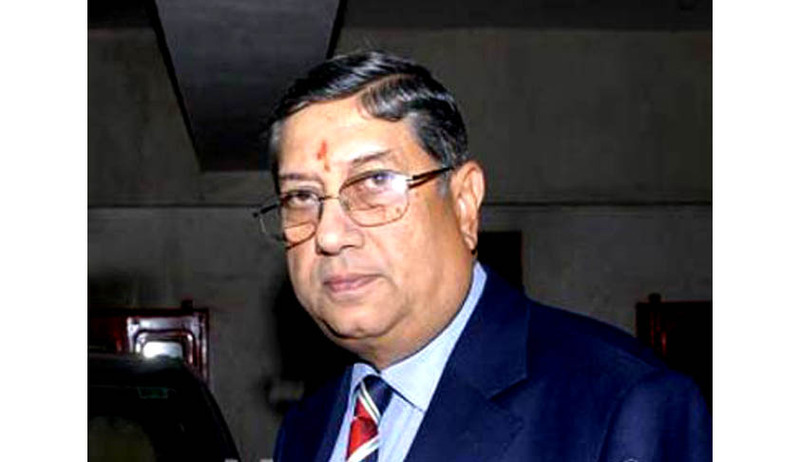 Supreme Court had given out orders in March, which included removal of Srinivasan from the post of BCCI President, Sunil Gavaskar taking over while the investigation is still on and removal of All India Cements employees from whatever position they are in the BCCI, staff, auditors, Chief Financial Officer and even the computer operators. BCCI senior vice president Shiv Lal Yadav was asked to look after other affairs of the board.